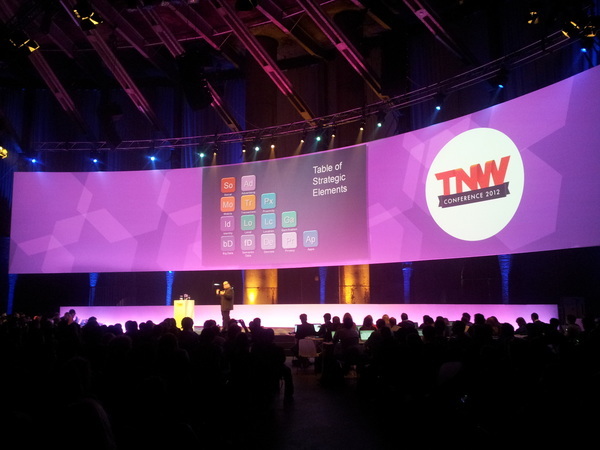 Adobe’s Chief Strategist, Mark Randall, came to TNW’s 2012 Conference to discuss the right and wrong ways to think creatively. In the future, Randall believes we’ll hack our own hardware — aka our brains — to boost creativity (think implants and smart drugs), but for now, there are ways to upgrade our mind’s software to improve the way we think. Good: Question the question. Instead of “how can I compete with X,” finding a deeper question reveals real solutions. Good: “Assume a solution exists.” It’s almost a mental trick, but drives you to look for something. Bad: Brainstorming. Studies have shown that brainstorming isn’t as effective as solo thinking. Good: Solo-storming. Focus in on a smaller group of people, pose a problem and go off to work alone. Then, bring the group back together and create a merged list, critically evaluate each idea, debate, argue and come out with a right answer. The magic: Adults know what’s not possible, which is why, as we grow up, we lose our sense of magic. Randall (a former professional magician) believes we have the ability to recapture that magic with technology. It’s a fascinating way to look at it, and then, as an entrepreneur, we can all search for ways to create magic. The feeling: Some products have an empowering feeling for the user, and Randall says his job is to “protect that feeling and develop that.” Feelings are hard to describe, but when you know the feeling you want to create, you can follow that and build it — it’s the only way creativity can happen. According to Randall, “the best way to predict the future is to invent it.” Go out there and create something amazing.